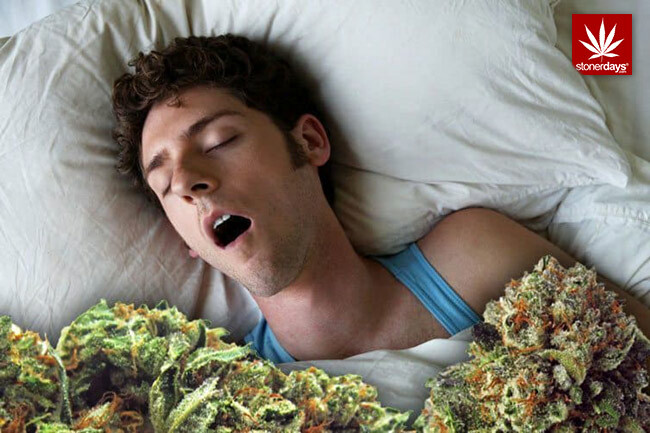 Before bed, many people choose cannabis sleep. Marijuana is offering new hope for those who suffer with chronic sleep issues. With 88% of Americans approving the medical use of marijuana, according to a 2017 CBS News poll, it may be time to change up your current nightcap of choice. With more than 60 million people in the United States currently experiencing issues with their sleep patterns according to American Sleep Association, it’s never been a better time to take advantage of the changes in legislation. Instead of a glass of wine or a sleeping pill, cannabis before you sleep will have you catching your zzz’s. If you’re an insomniac who’s weighing their options, here are some things to consider before you decided to give it a try. Guilhem Vellut. Marijuana. 2005. Flickr.com. Web. Nov 7. 2017. It’s easy enough to think that a few puffs will do when it comes to inhaling cannabis and sleep, but it’s important to be aware that there can be too much of a good thing and using marijuana as a sleep aid is no different. Taking a few too many inhalations can easily lead to early-morning grogginess, so you’ll want to wade into your pre-sleep use slowly and get familiar with the drug’s impacts first. 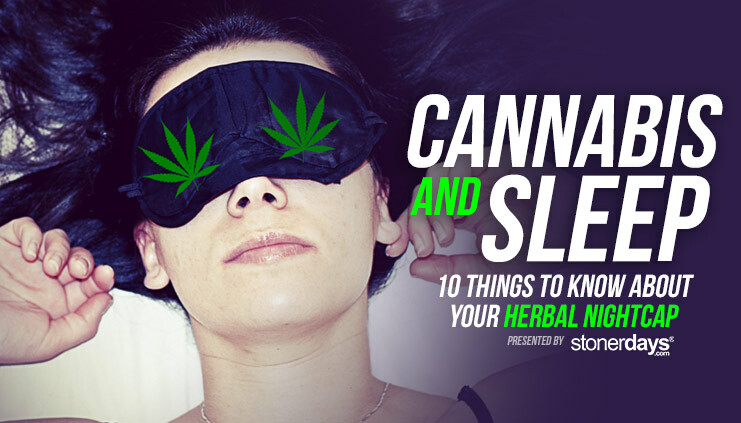 If you’re interested in marijuana as a sleep aid, it might seem like it’s all the same, but there are a number of strains to choose from and you’ll want to be informed about which one will work best for your needs. Indica can be a comforting, relaxing strain while a Hybrid is a combination of different strains, but it’s important to consult with your doctor or a healthcare professional first to determine what they would recommend. The impact that inhaling marijuana will have on cannabis and sleep depends on many factors. Sometimes it can be hard to know exactly when it will hit you. Much like determining the proper dosage, you’ll need to time it as best you can. According to Harvard-trained physician Dr. Jordan Tishler, “They are unreliable about when they’ll kick in. Sometimes it’s about one hour, other times it can be more like two to three hours.” As a result, Tishler suggests taking your dose about one hour before bed to avoid upset. With legalization occurring in many places, marijuana can certainly be a viable way of dealing with insomnia, but it’s important not to take its sleep-savvy abilities for granted. Prolonged use can cause changes to the brain that have an impact on cognitive functioning, so ensure that you use it in moderation and not as a daily antidote to ongoing sleep issues. There are two strains of cannabis, cannabidiol (CBD) and tetrahydrocannabinol (THC), and according to study by NCBI, using marijuana with a higher amount of THC will lead to less REM sleep. REM is important when it comes to regular cognitive functioning and feeling well rested, so it’s important to be aware of what you’ll be inhaling. Cannabis and sleep – try some tea! Once you’ve figured out the ideal dosage you may want to consider pairing it with a cup of chamomile tea. Because chamomile possesses sedative qualities, it can actually add a little bit of kick to your herbal nightcap. If chamomile doesn’t do the trick, you may want to try lavender oil or a melatonin supplement instead. Many people may not have to endure the effects of a troubled sleep. Dealing with chronic pain can be just as problematic when it comes to counting sheep. Fortunately, with its inherent medicinal qualities, a little bit of strains of the leaf can work to reduce pain and help users enjoy a more restful sleep. While cannabis can improve the nighttime hours for insomniacs, it’s also possible that it can lead to longer periods of uninterrupted sleep for those who use it. It’s just important to determine the dosage that will give you the required result so that you don’t have to deal with any inhalation hangovers or other symptoms associated with ingestion. Alongside dosage, you’ll want to determine the ideal way to ingest marijuana for maximum impact before you go to bed. Smoking it may lead to an instant reaction, while edibles can take a little bit of time to kick in. Before deciding on one or the other, do some bedtime experiments to see what gives you the best result. It’s important that marijuana isn’t the only solution to chronic sleep issues for a variety of health reasons. However, it’s also important to know that the effects of the drug can actually wear off overtime. While a little bit of use can help, some studies have shown that daily use gives way to more sleep disturbances in the long term.